Health is never a matter to toy with and Cigna Home Delivery Pharmacy seems to know this and use it as their supreme creed. Delivering medication is no longer a question of convenience – as it was with food or other types of delivery companies. It’s a question of health: staying healthy and receiving prescriptions on time. 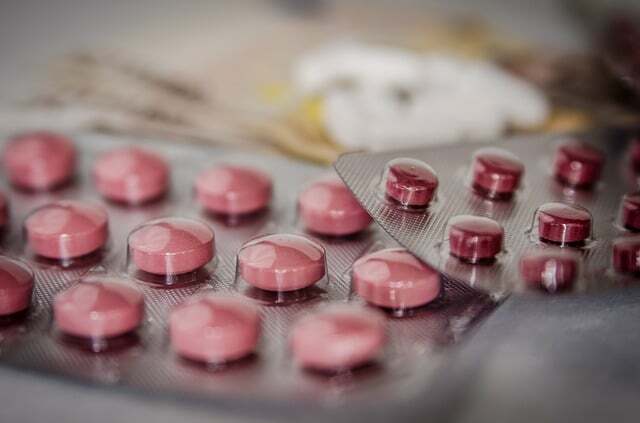 Skipping a day when on meds can potentially be life-threatening, so getting medication delivered to the door can help save painful trips to the pharmacy, some patients often experiencing a great deal of pain. The following article is meant as a guide to Cigna Home Delivery services. It will highlight the exact benefits of Cigna and the steps a patient/customer has to take in order to receive the medicine. However, we will also talk about the disadvantages of Cigna Home Delivery Pharmacy as compared to local pharmacies and drug stores. Cigna Home has a very long history. Its roots are in an 1865 decision by the then Governor of Connecticut to make a special company for life insurance. And that’s what the company was up until the late 20th century, when they decided to become more than that. A home delivery pharmacy was, obviously, their great idea. Today, Cigna offers all of the healthcare a person could possibly need in a lifetime. Cigna has insurance subsidiaries that provide not only general medical care, but dental care, disability insurance, life insurance, as well as accident insurance. The group works with both government health programs – Medicare and Medicaid – to provide its customers the pills and treatment they need to stay active, healthy, and to enjoy their life no matter the age. There are multiple options for Cigna Home Delivery programs, depending on where the patient lives, what type of prescription the customer has, how often he or she needs a refill, and whether the patient’s doctor agrees to Cigna. Cigna Home Delivery Services are designed so that the more a user makes use of Cigna as a whole (i.e. other Cigna programs), the simpler it becomes to use their service. For existing Cigna customers. If a user is already enrolled in the Cigna Medicare programs, adding Cigna home delivery should be extremely easy. A Cigna assured customer can simply access the myCigna account and add a prescription from there. The price estimate will show exactly how much it will cost and if the customer can get a discount. Call Cigna (or create an online account here). Using the highlighted number above, customers need to get in touch with a Cigna representative. You will have to complete a Cigna Home Delivery Pharmacy form – either by phone or through the online account. Provide Cigna with the prescription doctor’s phone number and details. If the doctor is a Cigna affiliate, things should go smoothly. If this is not the case, then the doctor will need to give all the details about the prescription and agree to periodic refills. Get the medication. After everything has been approved, the medication order should arrive within 7 to 10 working days. However, this is only the first time. Refills will arrive within 2 to 5 days. The benefits that Cigna Home Delivery brings don’t all have to do only with convenience. There are others involved that are always mentioned by customers using this Pharmacy delivery system. Looking at the following, we believe it’s safe to say that Cigna Home Delivery is not just another delivery service. Refill reminder. Because a refill takes about 2 to 5 days, Cigna has a scheduled clock that lets patients know when they should apply for a refill. The process involves setting a refill date and then choosing the desired way in which Cigna should contact you. This can be either a phone call or by email. Get help, anytime. This is by far the best option of the Cigna Home Delivery service. Cigna hires licensed pharmacists to sit by their call-center and answer inquiries by customers at any time of the year. It doesn’t matter whether a patient has a cold at 2 AM in the morning and doesn’t know what medicine he/she should take – Cigna is there for them. Periodic check-up. Cigna also offers to check whether the prescription meds a customer takes are compatible with other meds the respective person may be taking. Allergies are always considered and the whole prescription is checked before every refill. Going out of town? No problem. Before Cigna Home Delivery Pharmacy, going on vacation for extended periods of time meant that people had to beg their doctors to give their new prescriptions early. This isn’t the case with Cigna. Users of this service can simply enter their new location and the medicine will be safely delivered to them. Although this may all seem too good to be true, there are several disadvantages to getting prescription medication from Cigna. The price can vary. While many prescriptions end up costing less if users buy from Cigna, this is not always the case. Customers must not assume this is true before using the price calculator on the MyCigna account. Delivery time. Sometimes, patients just don’t have 2 to 5 days. Some patients suffering from various illnesses may even forget the reminder and not apply for a refill. This can be extremely dangerous. Traditional refills imply check-ups. Even though Cigna is to be trusted, the patient’s doctor often ends up approving refills without actually looking at the patient’s condition. A traditional refill automatically implies a check-up. Hey Buddy!, I found this information for you: "Things to Know about Cigna Home Delivery Pharmacy". Here is the website link: https://all2door.com/cigna-home-delivery/. Thank you.